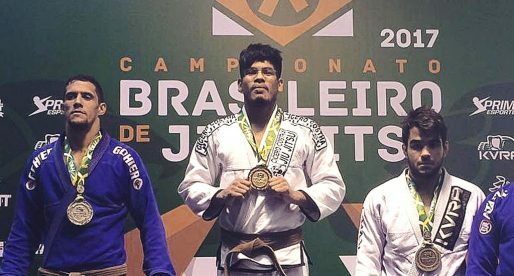 Márcio Rodrigues is a Brazilian jiu jitsu black belt under Irami Gomes Rocha, and the founder of Equipe Márcio Rodrigues from where he has developed several high-end athletes such as Lucas “Hulk” Barbosa, Ygor, Yago and Ana Rodrigues as well as Erberth Santos. 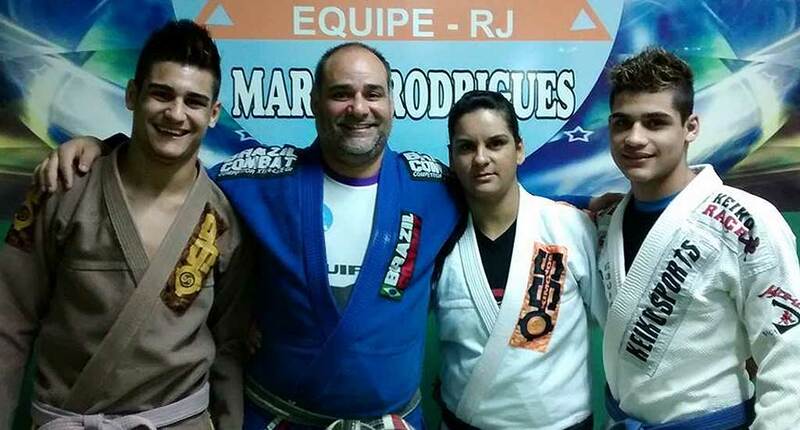 A reformed convict, Master Rodrigues changed his life through jiu jitsu and used his knowledge to develop a social project focussed on jiu jitsu, with the purpose of taking kids away from the drugs and violence of some of Rio de Janeiro’s troubled slums. Márcio Rodrigues was born on the 4th of September, 1972 in Rio de Janeiro – Brazil. As a child, Rodrigues was regarded as hyper and often got into trouble with other kids. 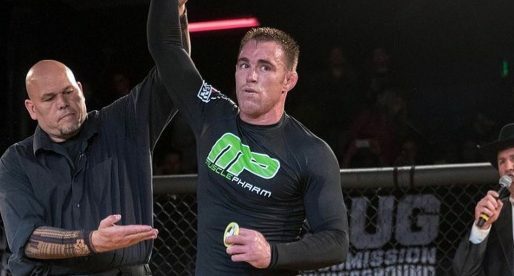 To try and calm Márcio down and teach him some discipline, his parents signed him on to a jiu jitsu academy at the age of 6, where he met coach João Fernandes, who would remain as Márcio’s instructor until his 20th birthday. As a blue belt Márcio started helping coach Fernandes with the class, and although he became a career criminal at the age of 17, he continued training at João Fernandes academy until he turned 20. Shortly after his 20th birthday, Márcio ran into trouble and had to leave Rio behind, escaping to Campos dos Goytacazes, further upstate, where he remained for 6 years. During that period, while training at a small academy nearby, the gym owner was impressed by Rodrigues’ skill level and asked him to coach some of his students. Although Márcio refused the invitation at first, as he got more involved with the team, he ended up agreeing to support them. What was meant to be a small class for a few of the team’s competitors, quickly grew in numbers and reputation. Students from other academies started joining Márcio Rodrigues’ class which didn’t settle well with some of the coaches from neighboring jiu jitsu gyms. Knowing of Márcio’s situation these instructors called in for an inspection. Rodrigues was a purple belt at the time but was not registered in any federation, as such he had to agree to take a test to become a certified instructor. While studying for his instructor’s course, Márcio’s mother committed suicide. Although heartbroken he could not return to Rio de Janeiro to mourn her due to his aforementioned situation in his hometown. Instead, on the day his mother was being buried, Rodrigues was taking his jiu jitsu instructor’s test. The test was an astounding success, so much that the head of the evaluation committee, Mr. Irami Gomes Rocha awarded Márcio Rodrigues his brown belt. Márcio joined Mr. Irami’s gym and remained there for a few years, though still engaging in criminal activities which later led to his arrest. Rodrigues was incarcerated for 20 months after which he returned to Rio de Janeiro. Training became part of Rodrigues’ routine once out of prison. After a long time, away from Campos dos Goytacazes, Márcio met his former instructor Irami Gomes Rocha who invited him to train. The two trained together for a while and as a result of this coaching, Rocha awarded Márcio his black belt (2004). A year after receiving his black belt, and fully reformed from a life of crime, Márcio Rodrigues decided to start a social project and give the children and young adults of his neighbourhood, a positive outlet for the drugs and violence available to them on the streets, particularly in the neighbouring slums since Rodriges’ favela is heavily guarded by militia. Seeing the incredible benefits that were being generated by this endeavor, he decided to open a training center/fighter house in order to give some of the more talented and hardworking students a way to live from the sport. One of the first big names to come from this training center was Lucas Daniel, who won world titles in both the IBJJF and Abu Dhabi Pro.